Coats or jackets can do more than keep up warm… they keep us chic! Check out my list of 10 coats you must have in your closet for winter! Which ones do you own? The leather jacket. Leather is always classic and stylish! For the colder days, leather does better in the weather. However, this leather blazer with ruffled front is for chic purposes only! | White House Black Market. 2. The blazer. A plain blazer should be in every closet and can be worn over everything: graphic tees, collar shirts, dresses, sweaters and suit bottoms. | H & M.
3. The long pea coat. Super cold days call for super long coats. Pea coats are warm and classic! I love pea coats, especially brightly colored ones. | Victoria’s Secret. 4. The unique blazer. Where would you find a blazer covered in pearls? It is important to have that conversation starter! Find a blazer cover in sequins, rhinestones, metallic or some unique or irregular pattern for those days you want to stop the show! | Primrose Boutique. 6. The short pea coat. Again, pea coats are classic and you can never have too many! In addition to the long pea coat, I always keep a short one! I love a winter white pea coat in winter! So upscale! | Banana Republic. 7. The long printed blazer. Blazers are necessary, but don’t forget the prints! This vintage beauty has a gold paisley print. Shop thrift and vintage stores to find unique prints on your next blazer find! | Vintage. 8. The military style jacket. Military style never goes out of style. This jacket is also vintage and has a unique history behind it! | Vintage. 9. The red coat. Red coats are beautiful in winter, especially during the holidays and against a winter snow. | Calvin Klein. 10. The trench coach. Trench coachs are unisex and very popular. However, try a trench coat in a different material, like wool. This is my absolute favorite winter coat because of its high collar and irregular hem line. | Primrose Boutique. I had to give you a few more glimpses of this coat! 😉 Which coats do you own? What coats would you add to this list? Thanks for your feedback! I love the pea and trench coats. They look lovely on you. Very trendy and fashionable! Thank you so much! The trench is my favorite! You are fierce and serving in all of these pictures!!! My favorite are the last two, super chic! Thank you very much! I share the same sentiments when I visit your blog, beautiful! Love these coats! Very unique and stylish. That last one is bomb! Thank you! The last one is my personal favorite! Cute coats! I love the unique blazer and the trench! You wear the outfit well Fab! I like all the outfit looks chic. I love all of these costs. I developed a bit of a coat addiction when I lived in Chicago years ago. Now that I’m back in L.A., the weather rarely warrants me wearing any of my cute winter coats. 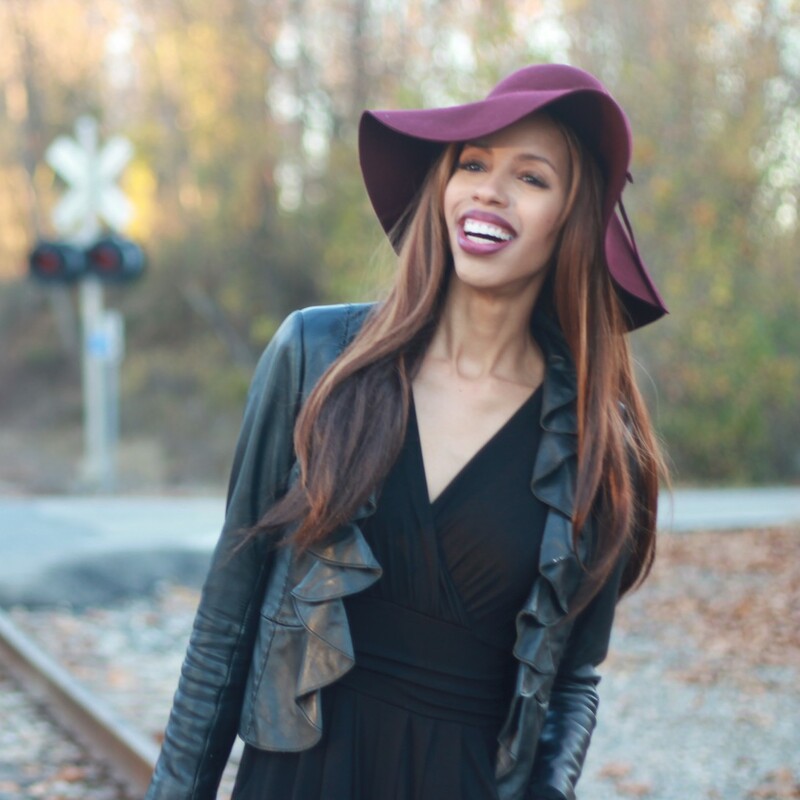 This entry was posted on January 11, 2016 by LaQuisha Hall in All Dressed Up, Casual Wear, Fashion Education, Hat Attack, Look Books, Natural Hair Flair, OOTD and tagged fashion, hair, natural hair, ShoeDazzle, style, Vania.